Chris Watson became Australia's third prime minister following the resignation of Prime Minister Alfred Deakin, leader of the Protectionist Party. Chris Watson held office for a mere four months, but he was to hold a place in history by leading the world's first national Labor government. Watson faced strident hostility at the outset from both opposition members and the press, who argued that his government 'had no claim to an extended life.' In his brief tenure Watson won admirers with his moderation and showed that it might just be possible to trust Labor with office. Watson was born in Chile, the son of a Chilean-German father and New Zealand-Irish mother, which led to questions after his death about his eligibility to be prime minister. After leaving school at ten years of age in New Zealand, he worked in railway construction and later as a print compositor on newspapers. 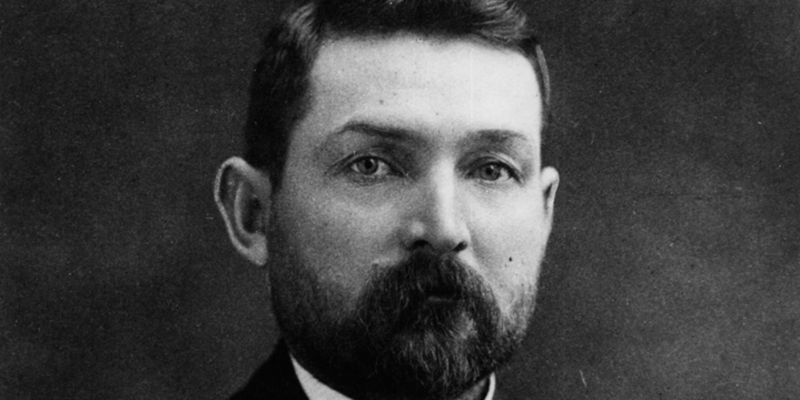 Watson quickly rose to prominence in union and labour politics and was a key figure at the colonial Labor conference in 1900 which established a federal platform for the party. 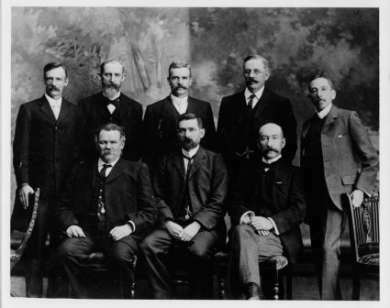 On 8 May 1901 Watson was elected leader of the Labor Party. A realignment of the same parliamentary numbers that brought Watson to power led to his removal in August 1904 and resignation as party leader in 1907. Watson was expelled from the Labor Party in 1916 for his support of conscription, but perhaps as a testament to his character and achievements in laying the foundations for later Labor success, he never attracted the special animosity usually reserved for Labor defectors. Established on 29 June 1904, this commission was chaired by Billy Hughes and sat for two years. The commission's recommendations had a lasting impact on the shipping industry. On 15 August 1904, the Seat of Government Act was approved in the Senate. The debate on the bill had been protracted, with a number of members of parliament lobbying hard for the new capital to be located in their state. This act, which selected a site at Dalgety, was later repealed by an act which selected the Yass-Queanbeyan area as the site for Canberra. In only the second federal election on 16 December 1903, the Labor Party almost doubled its numbers in the House of Representatives from 14 to 24 and held a slim majority in the Senate with 15 seats. In the period 1901 to 1910 none of the three parties, Protectionist, Free Trade or Labor, were able to secure an outright majority in the Parliament. Alfred Deakin likened this situation to ‘three elevens’ trying to play in the same cricket match. A number of newspapers at the time described the Parliament as being ‘piebald’ where two groupings of opposite colours briefly came together to form a majority. This situation meant the tenure of the Watson government was always destined to be brief. Watson quickly proved to be a skilful party leader and showed great wisdom with his moderate approach. He was a great mediator and unifier of a Labor movement, consisting of barely literate labourers, Irish Catholic radicals, Protestant moderates, atheists and disaffected Free Traders and Protectionists. The success of the Labor Party in achieving government was far from universally heralded, with not only those in the opposition parties, but also many of the major broadsheets arguing that the Labor experiment would be extremist and destructive, a travesty that would threaten the very existence of the Commonwealth. However, the collaborative Watson showed that the Labor Party could lead responsibly and be capable and effective administrators. This was the great legacy of the Watson government and allowed the Labor Party to entrench itself permanently in the political landscape. 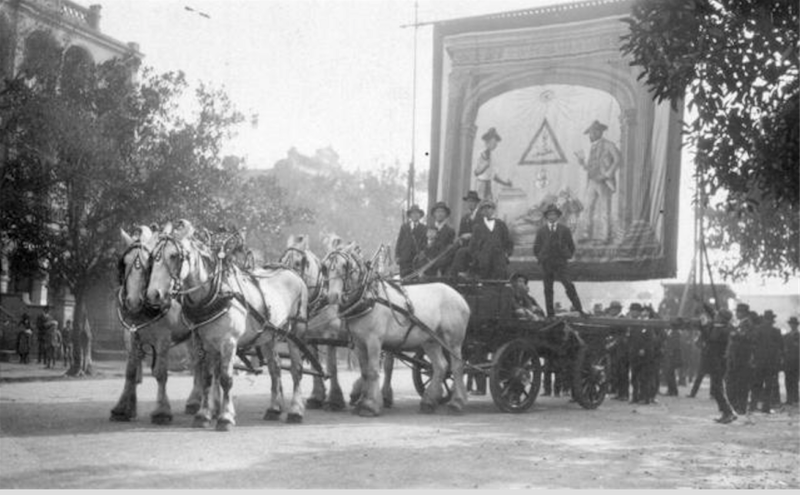 Watson formed a strong partnership with the union leader James Morton Toomey in campaigning tirelessly to establish Labor Party branches in country New South Wales and, once established, to build unity between city and country. Toomey had created a stronghold in Young, but sacrificed his own political ambition by encouraging Watson to stand in the seat. Watson won the seat at the 1894 New South Wales election and, on entering Federal politics in 1901, represented the seat of Bland which included his former state electorate of Young. The pioneering campaigning of both Watson and Toomey to achieve solidarity between rural and urban constituencies set up the Labor Party for future success. Chris Watson was fond of saying that he retained his seat by rendering even the smallest of services to his constituents. If someone wanted a piece of whipcord, he sent it to them. Watson’s dedication to his constituency led to stories circulating, initially in the New South Wales Parliament and later in the Commonwealth Parliament, about ministers keen for Labor support saying yes to his approaches on behalf of his electors. George Reid said that he would not be surprised if a number of the non-Labor ministers were saying ‘Yes, Mr Watson’ in their sleep. Watson was ever the conciliator and always willing to listen to people, but always forthright on matters of principle. The very people who objected to socialism were immersed in it. They rode in socialistic railways, sent their children to socialistic schools....and if they became insane... they retired to a socialistic lunatic asylum. Ross McMullin, So Monstrous A Travesty: Chris Watson and the world's first national labour government, Scribe Publications, Carlton, 2004, p 154. Historic Memorials. [Arrangements for] Portrait of [former Prime Minister] Mr J C [John Christian] Watson.